For most people the mention of graffiti conjures up notions of subversion, defacement, and underground culture. Yet, the term was coined by classical archaeologists excavating Pompeii in the 19th century and has been embraced by modern street culture: graffiti have been left on natural sites and public monuments for tens of thousands of years. They mark a position in time, a relation to space, and a territorial claim. They are also material displays of individual identity and social interaction. As an effective, socially accepted medium of self-definition, ancient graffiti may be compared to the modern use of social networks. 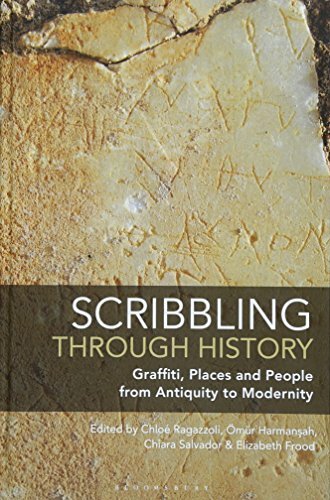 This book shows that graffiti, a very ancient practice long hidden behind modern disapproval and street culture, have been integral to literacy and self-expression throughout history. Graffiti bear witness to social events and religious practices that are difficult to track in normative and official discourses. This book addresses graffiti practices, in cultures ranging from ancient China and Egypt through early modern Europe to modern Turkey, in illustrated short essays by specialists. It proposes a holistic approach to graffiti as a cultural practice that plays a key role in crucial aspects of human experience and how they can be understood. View More In Graffiti & Street Art.